Roman Belville loves sprinkle cookies and pizza … and he's headed for superstardom. Move over, Guy Fieri, there's a new platinum blond chef in town, and his recipes are really taking off. His favorite thing to make is cookies, he likes to eat the ingredients while he's cooking and sometimes he's a little hard to understand. His name is Roman Belville — and he's only 2! Roman has loved to watch his mom, Ayla Belville, cook from early on and always wanted to be held while she was cooking. As Roman grew bigger, Ayla had a custom stool made for him, so he could stand and see what she was mixing up at counter height. Ayla, too, enjoys baking and has her own YouTube channel, which now has nearly 36,000 subscribers. It details her life as a stay-at-home mom in South Bend, Indiana. She told TODAY Food that Roman always likes to help in the kitchen by chopping or stirring with his own kid-safe, smaller-sized utensils. 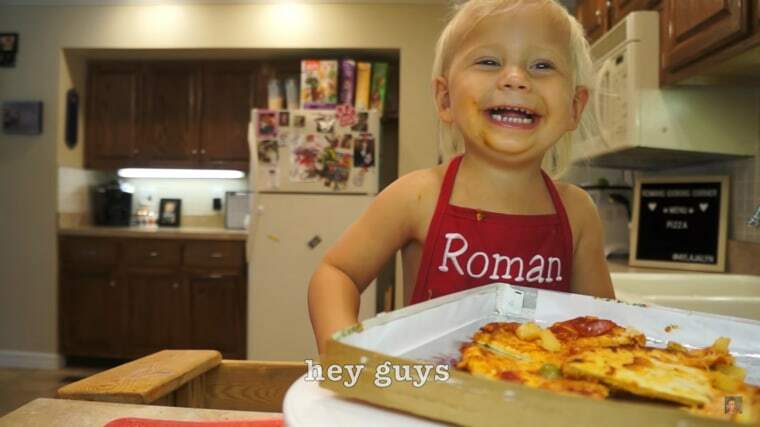 Since Ayla vlogs frequently, she said Roman is comfortable in front of a camera, and she and husband, Brandon, decided to let him star in his own cooking video on her channel. His first recipe? A cake. That video, posted in August, quickly went viral with hundreds of thousands of views and resulted in a follow-up show with what is now called "Roman's Cooking Corner." In the second episode, the toddler makes a pizza. In the videos, Roman asks his mom politely (TODAY wants to know how they get him to say "please" and "thank you" every time!) for ingredients and adds them one at a time, often having a quick taste if something looks too yummy not to try. So what's this young chef's favorite dish? Cookies, of course. 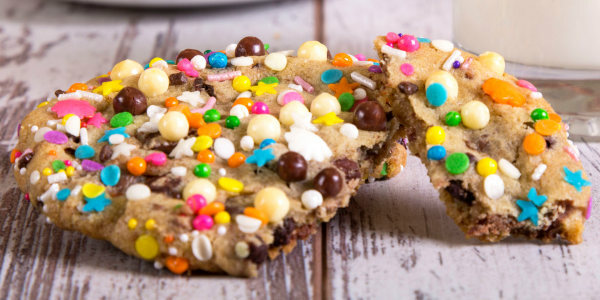 But more specifically, "sprinkle" cookies. When asked why she thinks Roman's videos are so popular, Ayla told TODAY Food, "I'm biased, but I think he’s the cutest kid in the world." She added that she really tries to let him be himself. "I let him do what he wants to do, whether it's licking the batter or dumping the whole bottle of sprinkles on." The next episode of "Roman's Cooking Corner," now scheduled monthly, will debut on Halloween with the little star cooking in full costume and creating a Halloween-themed treat.